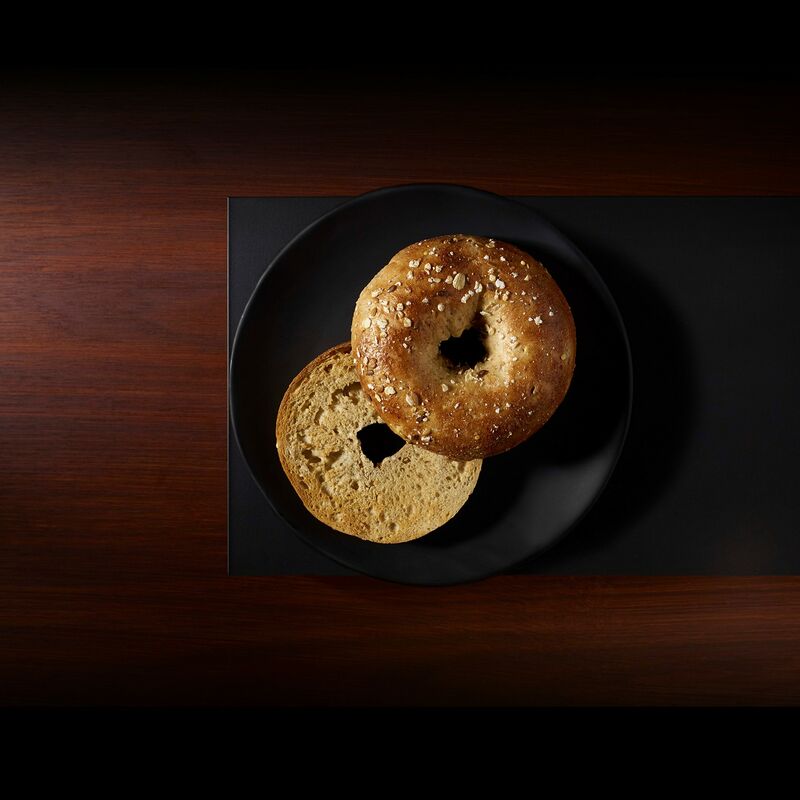 A New York style bagel made with cracked wheat, oats, barley, triticale, millet, two kinds of flax and sunflower seeds. water, enriched wheat flour ( wheat flour, malted barley flour, niacin, iron, thiamine mononitrate, riboflavin, folic acid), grain blend (wheat, oats, triticale, barley, millet), topping (oats, brown flax, golden flax, sunflower seeds, wheat), whole wheat flour, vital wheat gluten, brown sugar, liquid malt extract, contains less than 2% of each of the following: salt, degerminated yellow corn meal, yeast, guar gum, xanthan gum, dough improver (wheat flour, guar gum, inactivated dry yeast, malted barley, soybean oil, ascorbic acid). contains: wheat. The USDA’s MyPyramid recommends at least 3-one ounce equivalents of whole grains per day.